John Zachary DeLorean was an American engineer and executive in the U.S. automobile industry, most notably with General Motors, and founder of the DeLorean Motor Company. He was most well known for developing the Pontiac GTO muscle car, the Pontiac Firebird, Pontiac Grand Prix and the DeLorean DMC-12 sports car, which was later featured in the 1985 film Back to the Future, and for his high profile 1982 arrest on charges of drug trafficking. John DeLorean's self-named sports car, with a gaudy stainless-steel body and gull-wing doors, was the talk of the auto world in the early 1980s. DeLorean himself was already an auto industry legend for having designed the hotrod Pontiac GTO in the 1960s, and for his fast rise through the ranks at General Motors, where he gained a reputation as a rebellious visionary. He quit GM in 1973 and later formed the DeLorean Motor Company. The snazzy DeLorean car debuted in 1981; by 1983 financial difficulties had doomed the company and it closed down after building fewer than 10,000 cars. DeLorean was arrested in 1982 and charged with smuggling cocaine to raise money, though he was later acquitted after accusing the government of entrapment. Ironically, the now-defunct DeLorean car got a huge popularity boost when it was driven by actor Michael J. Fox in the 1985 film Back to the Future. DeLorean talked of resurrecting his sports car company, but he never really shook off his financial troubles and was forced to declare bankruptcy in 1999. DeLorean's third wife was the fashion model Christina Ferrare; the couple divorced in 1985. DeLorean was married four times in all... In 2000 DeLorean launched a new venture, DeLorean Time, which sold expensive watches over the Internet... DeLorean cars were manufactured in Northern Ireland under an agreement with the British Government... Talk show host Johnny Carson was a major investor in the DeLorean Motor Company and was behind the wheel of a DeLorean when he was cited for drunk driving in 1982. 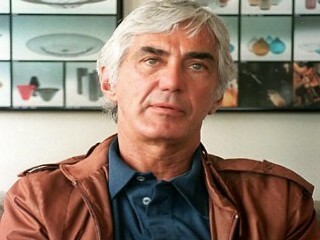 View the full website biography of John DeLorean.